The sequel to the New York Times bestselling Princeps, L.E. 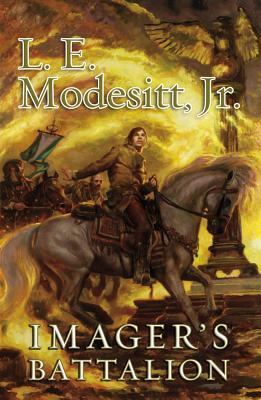 Modesitt's Imager's Battalion follows magical hero Quaeryt as he leads history's first Imager fighting force into war. Given the rank of subcommander by his wife's brother, Lord Bhayar, the ruler of Telaryn, Quaeryt joins an invading army into the hostile land of Bovaria, in retaliation for Bovaria's attempted annexation of Telaryn. But Quaeryt has his own agenda in doing Bhayar's bidding: to legitimize Imagers in the hearts and minds of all men, by demonstrating their value as heroes as he leads his battalion into one costly battle after another. L. E. MODESITT, JR. is the bestselling author of over sixty novels encompassing two science fiction series and three fantasy series, including the saga of Recluce. He lives in Cedar City, Utah.